CHICAGO (WLS) -- McDonald's is bringing back its iconic Shamrock Shake with a twist. 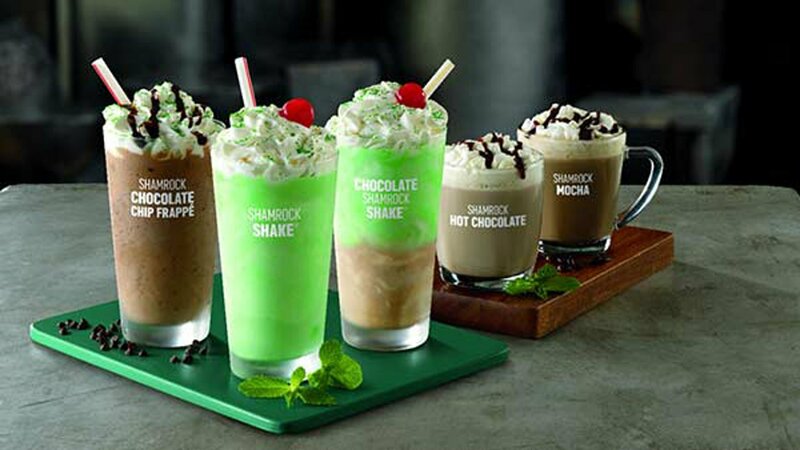 The fast food chain has added a Chocolate Shamrock Shake to its menu this year. McDonald's says the original mint flavor is mixed with vanilla soft serve and chocolate syrup, then topped with a cherry and whipped cream. If that doesn't satisfy your sweet tooth, you can also get your minty fix with the original Shamrock Shake, Shamrock Hot Mocha, Shamrock Hot Chocolate and a Chocolate Chip Frappe with mint sprinkles. The beverages are only available for a limited time.